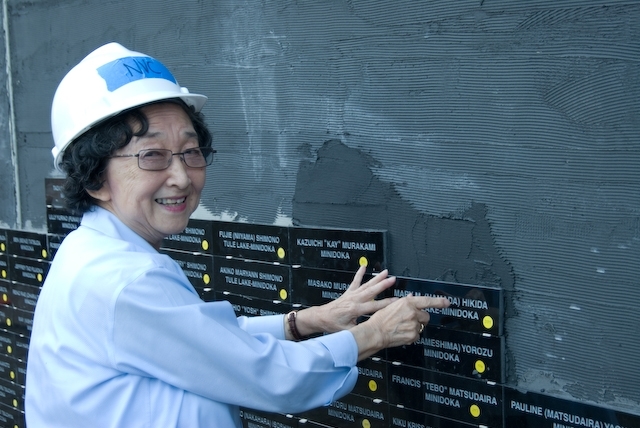 With nearly 3,300 bricks, the wall honors Japanese Americans who were interned during World War II or who have served in the military. Another 450 bricks will be added in 2012. The wall is roughly ninety feet long and twelve feet high. The overhead concrete beam was designed to identify the entrance of the memorial and is referential of Japanese Tori Gates. 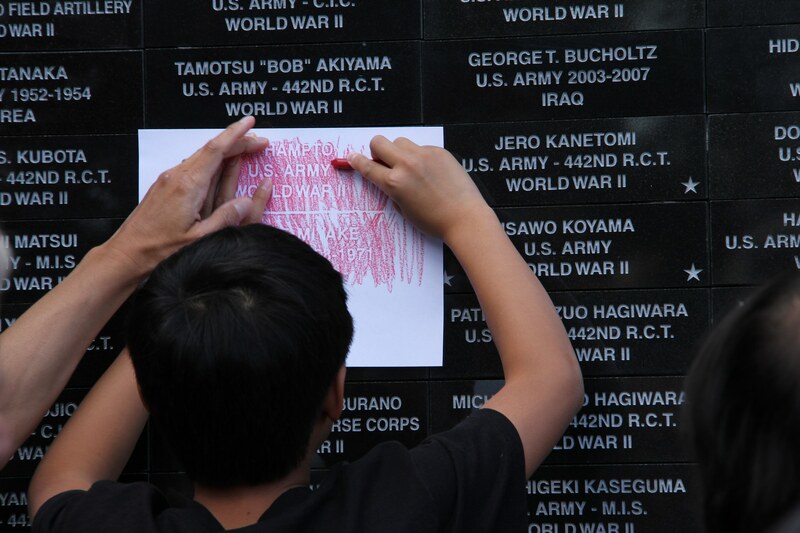 The goal was to provide a backdrop showing the individuals and families interned during World War II. 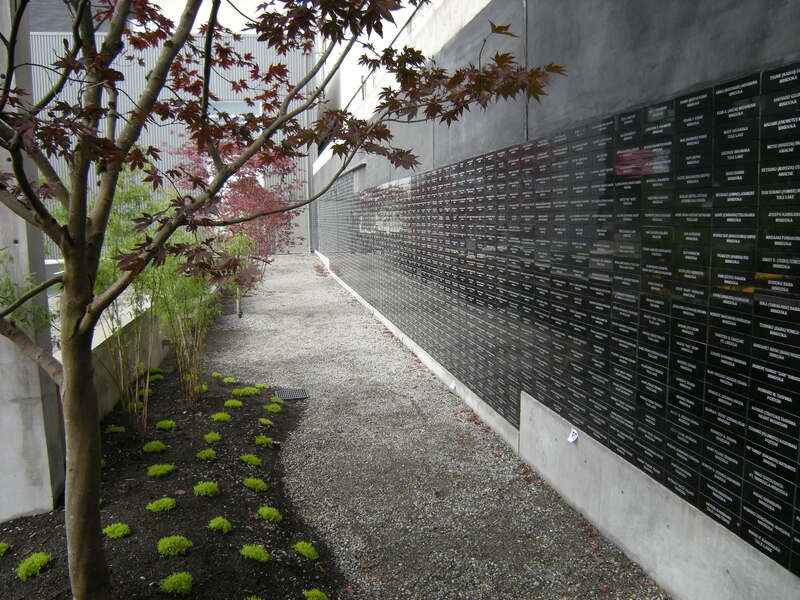 The memorial is made of concrete and clad with black absolute granite tiles with engraved names. The wall was designed to have a strong, refined presence without being ostentatious and in keeping with the Japanese culture. The tiles are left un-grouted to better represent the individual, reinforce the wall as a work in progress and so flowers can be placed when families come to visit and pay their respects. Five Japanese maple trees are positioned between the wall and the parking lot to provide a psychological and visual buffer and a place for contemplation. 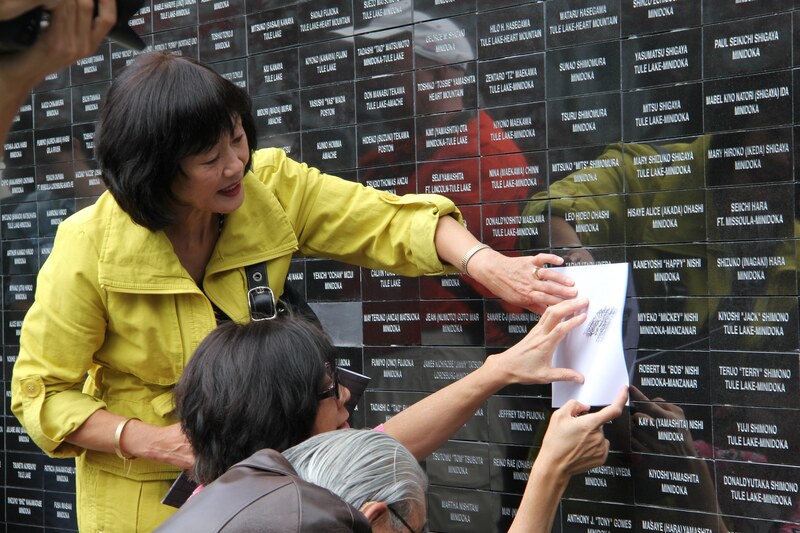 Two thirds of the bricks honor internees and there is representation from all ten camps and eight prisons. 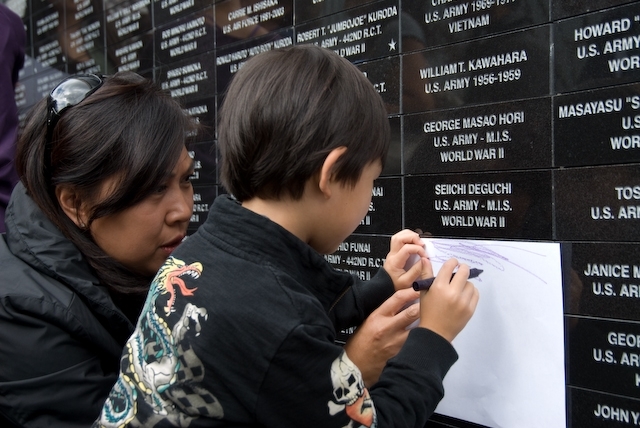 The veterans section has bricks honoring veterans who served in the Spanish American War, World War I, World War II, Korea, Vietnam, Grenada, the Gulf War, Afghanistan and Iraq. 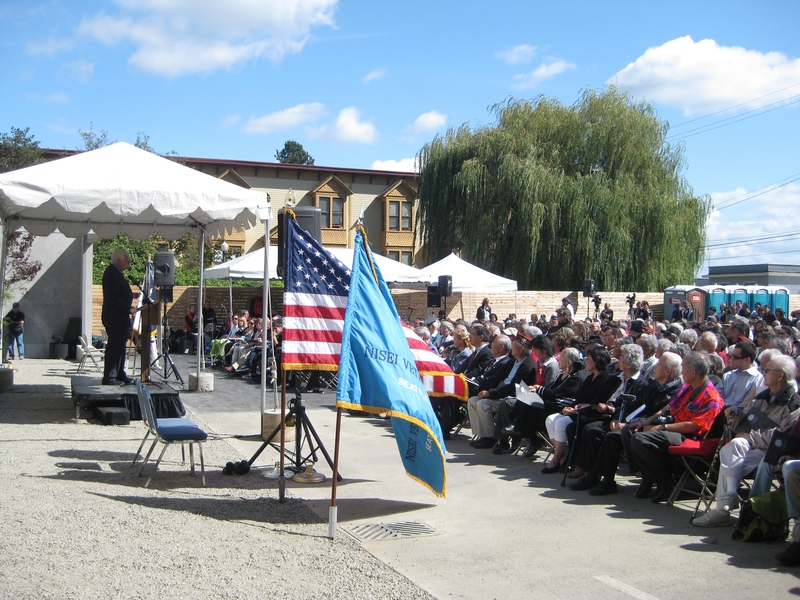 All five services are represented – Army, Navy, Marines, Coast Guard and Air Force. 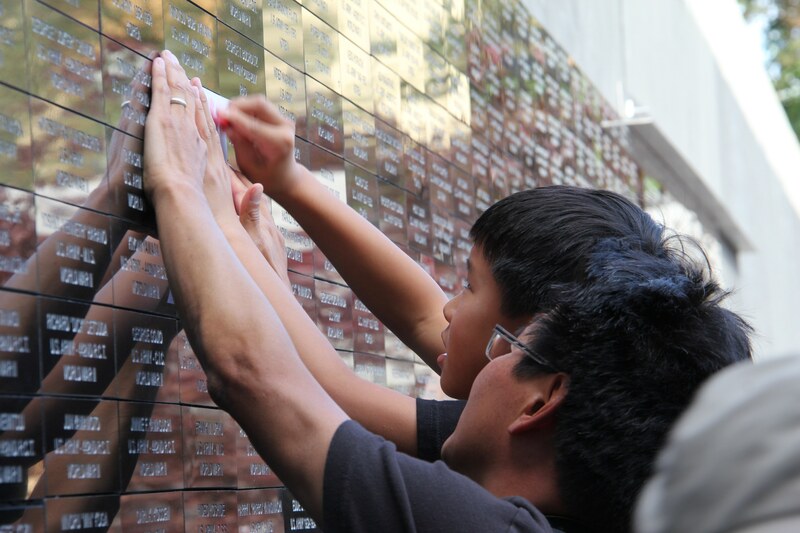 There are sixty-seven bricks honoring veterans who were killed in action and eleven bricks honoring men and women who are currently on active duty. 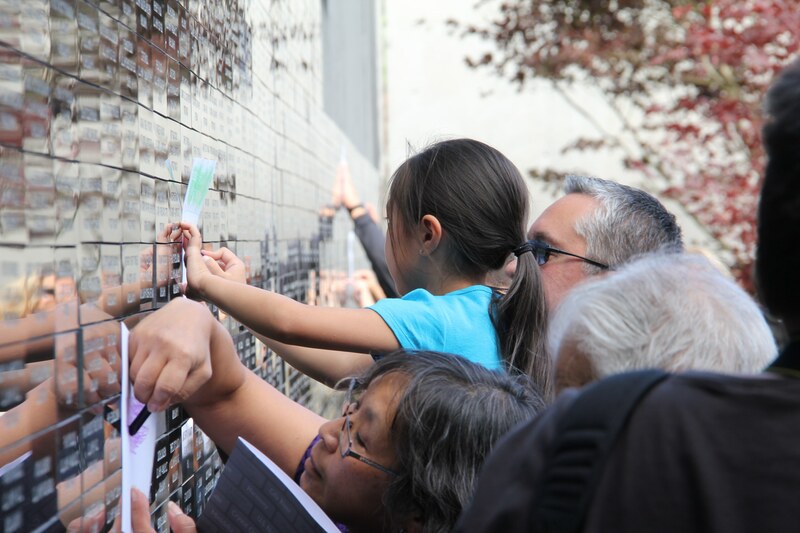 The memorial is not just for Americans of Japanese ancestry but for all Americans of all ancestries and is a reminder we should never question loyalty of a particular group of Americans without looking at the example left by the legacy of Japanese Americans.